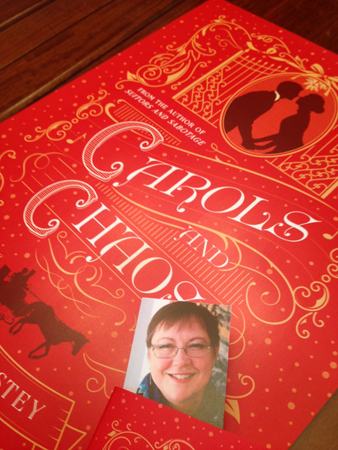 Launches, coming soon, appearances, and signings! 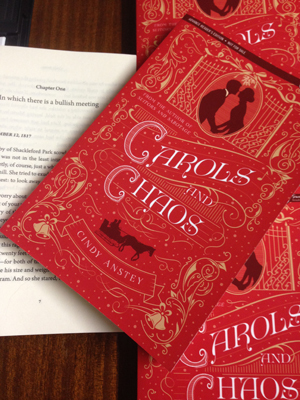 Get all your Cindy Anstey news here! A box full of mystery! Woot!! The Hummingbird Dagger has arrived at the Anstey abode (house). Isn’t it beautiful!! 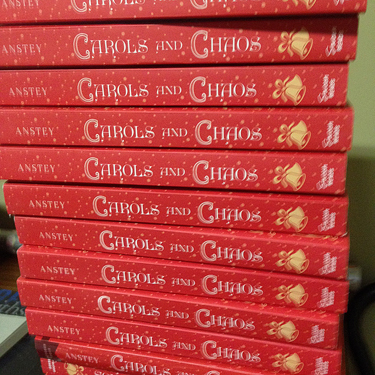 You, too, can have a copy in 11 days!! April 16, 2019 Suitors and Sabotage (available now in Hardcover) will be released in… you guessed it, Trade Paperback! Exciting news!! E-book of LOVE, LIES AND SPIES will be on sale through April 2019.. Exciting news!! E-book of DUELS & DECEPTION will be downpriced across all online retailers on February 16th..
A new development at Swoon Reads. Movies! 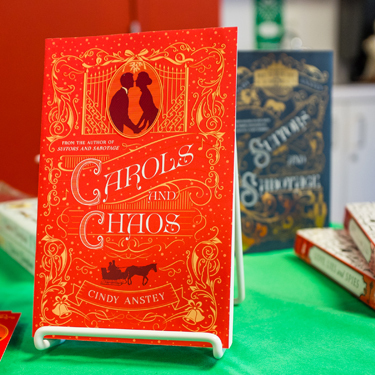 Pictures from the launch of Carols & Chaos. A little talking, lots of laughing, yummy cupcakes and a reading. A good time was had by all! 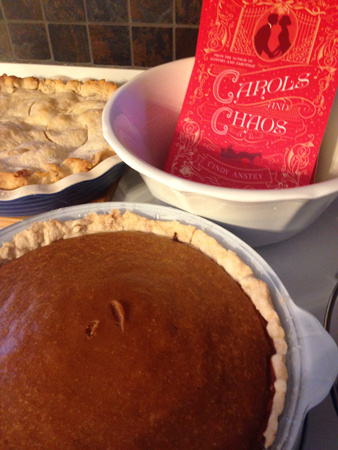 Time to celebrate, Canadian Thanksgiving and the release of Carols and Chaos!! My SwoonReads announcement for The Hummingbird Dagger! Check out Bustle.com for The Hummingbird Dagger cover reveal and Chapter One!! 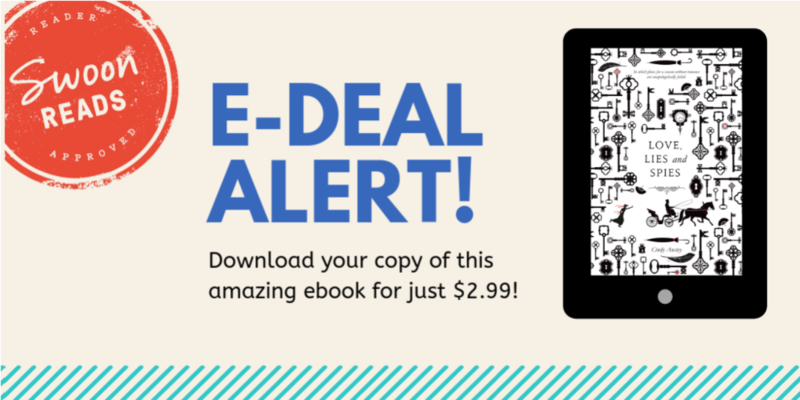 Woozles on-line launch of Suitors and Sabotage! Woot! A Goodreads giveaway of Suitors and Sabotage, April 10th until April 17th. HARDCOVER! Out in 13 days! Duels & Deception is on Entertainment Weekly's 35 Most Anticipated YA of 2017 list. Love, Lies and Spies was listed as #8 in Entertainment Weekly's Best YA of 2016. 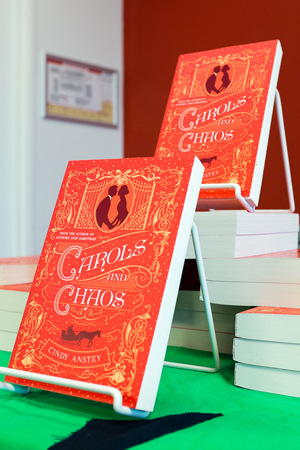 Cindy Anstey's debut novel was released April 19, 2016 and launched on April 30th at Chapters Bayers Lake, Halifax, NS.